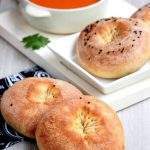 Zopf or Züpfe literally means ‘braided bread’. 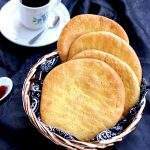 This is a Swiss special bread that is usually eaten on a Sunday morning (can be eaten other days as well). 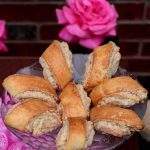 This is a simple enriched bread made with flour, milk, yeast, butter and egg. Since this is an enriched dough, I did not want to take the egg away from the bread. The bread has a great texture and I had lot of fun shaping the braid. This bread is going to be last one for the A-Z baking around the World marathon. This month had truly been a learning experience for me and I have learned so much about different cultures and food around the world. 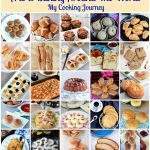 I was amazed at each and every bake and I still have many recipes I have bookmarked for this marathon. 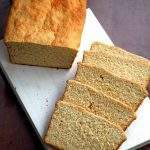 This bread is no different and in spite of being a simple recipe, had a great texture and color. 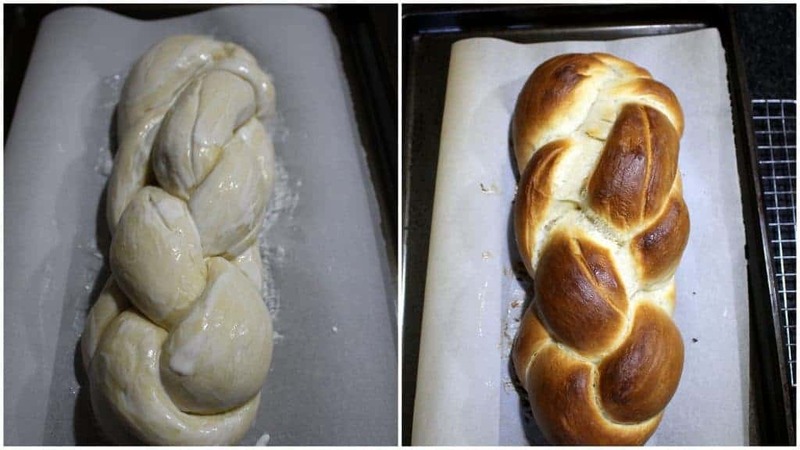 I used cream to brush the loaf before baking and learned that cream gives a great color to the bread and anyone who does not want to use egg wash can use just cream or cream and milk mixture to brush the bread. 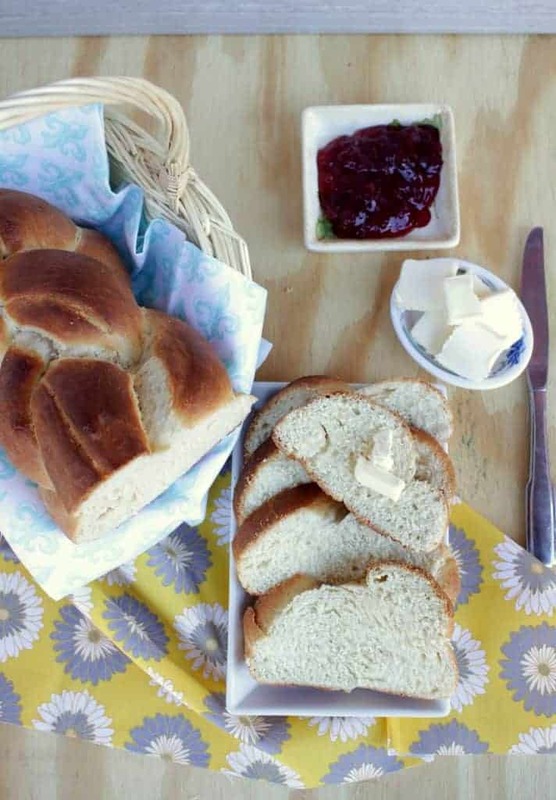 There is no better comfort for a baker other than baking a gorgeous loaf of bread at home. The warmth and aroma just fills the whole house. 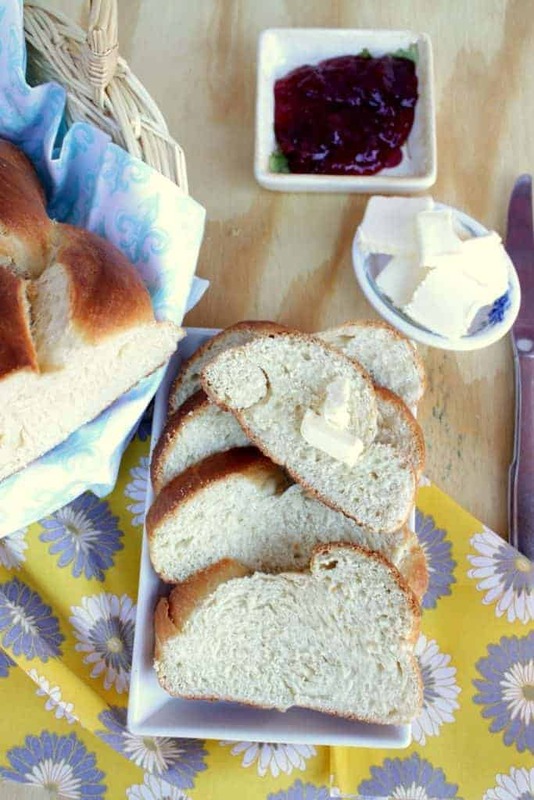 Slicing through a fresh loaf of bread and then slathering it with some butter and enjoying it with a cup of coffee is my kind of weekend. 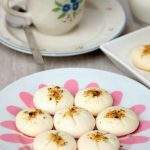 This month the baking marathon gave me opportunity to enjoy several weekends just how like it. 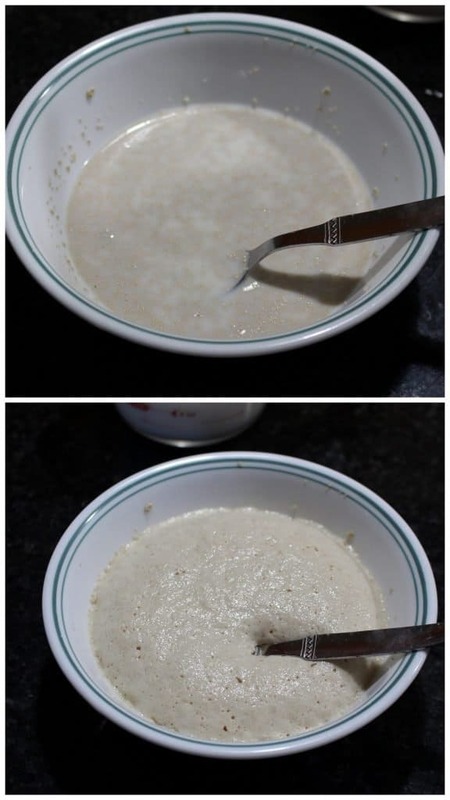 In a bowl, combine the 1/4 cup of lukewarm milk, yeast and honey. Mix it well and let it stand until the yeast proofs, about 10 minutes. If the yeast mixture does not bubble up after 10 minutes, discard the mixture and start with a new batch of yeast. 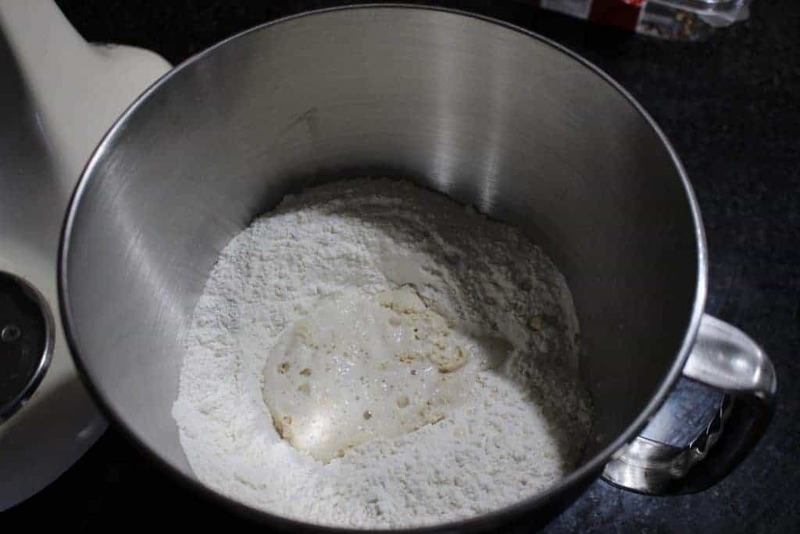 In a large bowl or in the bowl of a stand mixer, combine the flour and salt. Add the yeast mixture, softened butter, egg and the rest of the lukewarm milk and knead to form a soft dough. The dough will be very soft, but not sticky. Knead for about 7 to 8 minutes. 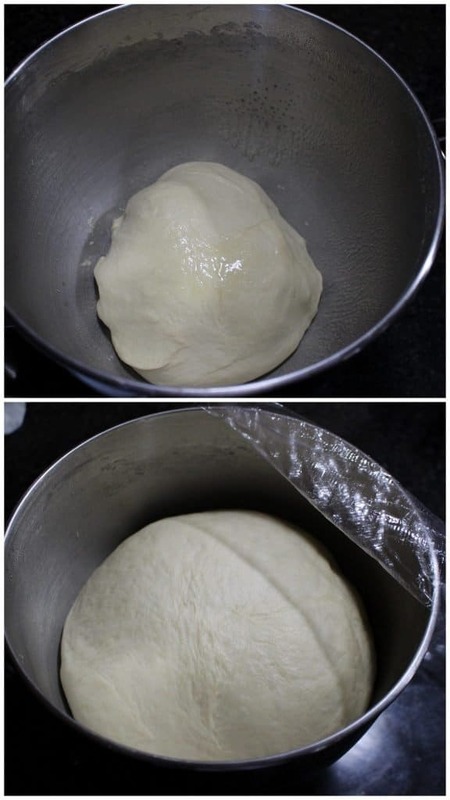 Place the dough in a greased bowl and cover with a kitchen cloth. Let it rise for about an hour to hour an a half, until it doubles in volume. 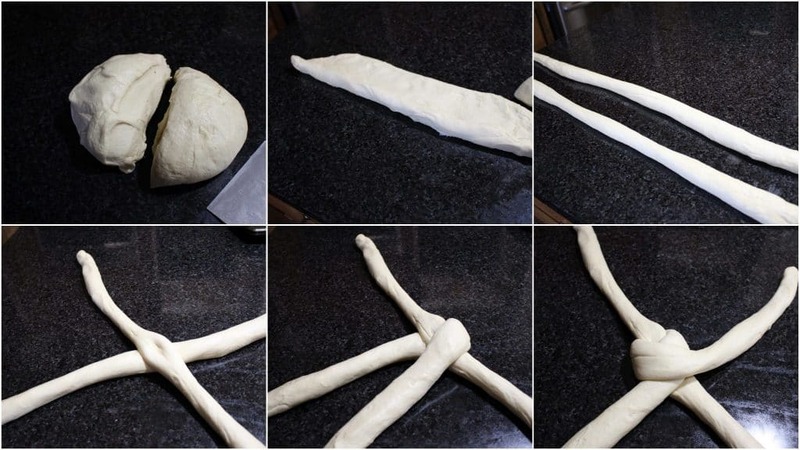 Once the dough had risen, punch the dough down gently and then divide it into two. Working with one piece at a time, flatten the piece and roll into a thin rectangle. about 20 inches wide. Do the same with the other half as well. Then tightly roll the rectangle into thin long rope. The longer the rope, the easier it is to braid. Keep the rope at least 20 inches long. Repeat the same with the other half. Place the 2 ropes on top of each other, meeting in the middle, like a X. Bring the right top corner over the other half and bring it down. Now bring the bottom left and fold it upwards, Refer to the picture and this video to shape the zopf. 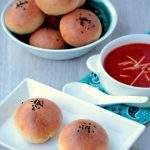 Place the shaped bread on a parchment lined baking sheet and let it rise for about 30 minutes or until the dough is puffy. 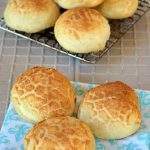 When the bread is rising for the second time, preheat the oven to 400 F.
Once the shaped dough has puffed up, brush it with cream liberally and them place it in the oven. Let it bake for 20-30 minutes or until the bread is golden brown on top. Keep an eye from 20 minutes, so the bread does not brown too quickly. Remove it from oven and then cool it entirely before you slice it. Lovely bread! There’s an Italian braided bread, too. I forgot the name though. And you have quite a collection of bread recipes, too. Thanks for sharing them! 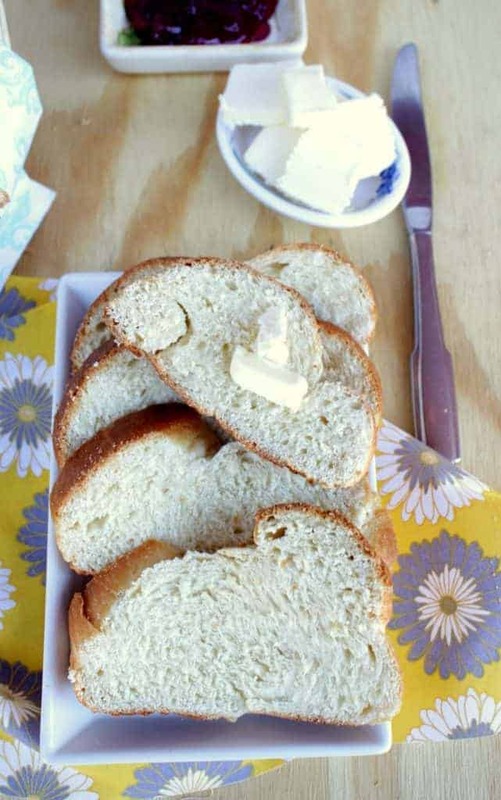 Such a pretty looking bread, i dont mind to kick start my breakfast with those prefect slices with some nutella. 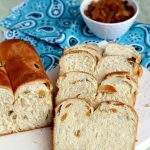 Sandhya well done for finishing this mega marathon with this incredible bread. 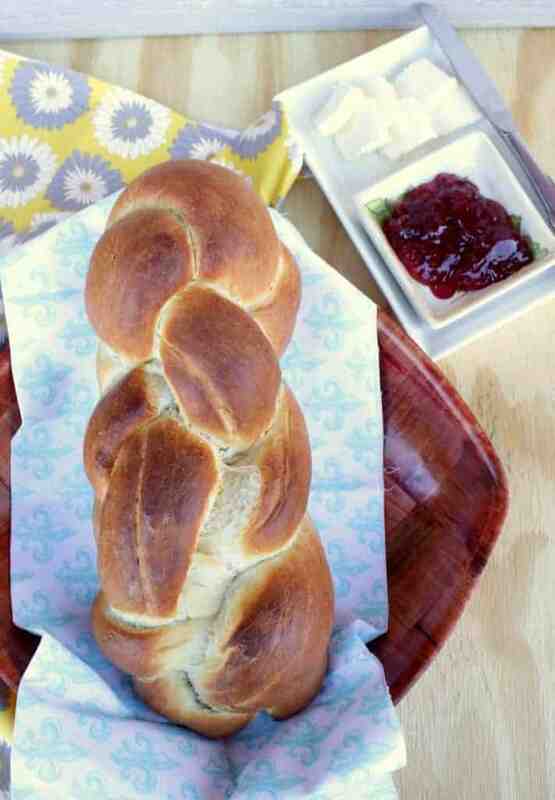 That is a pretty looking braided bread. I am terrible at baking bread. 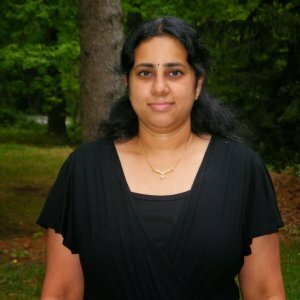 Wish to learn some from you. 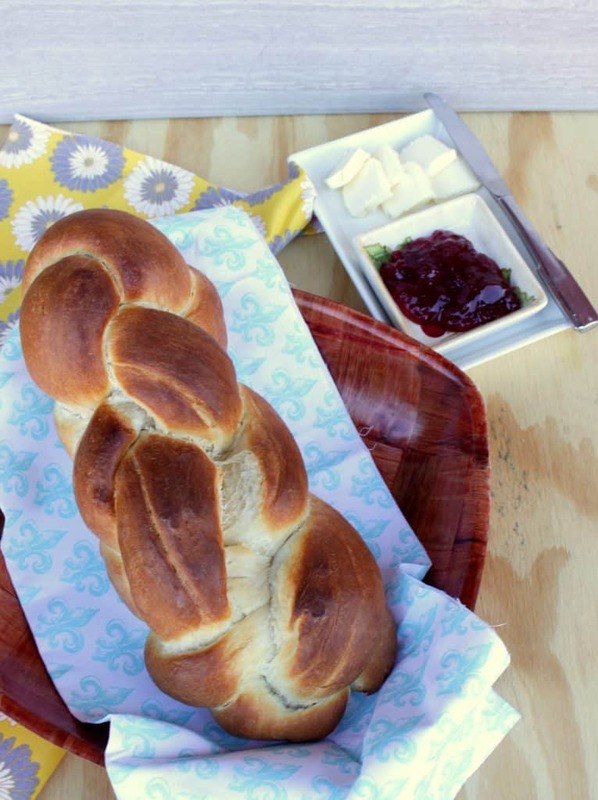 Amazing braided bread! Congratulations for churning out amazing goodies this month as always! 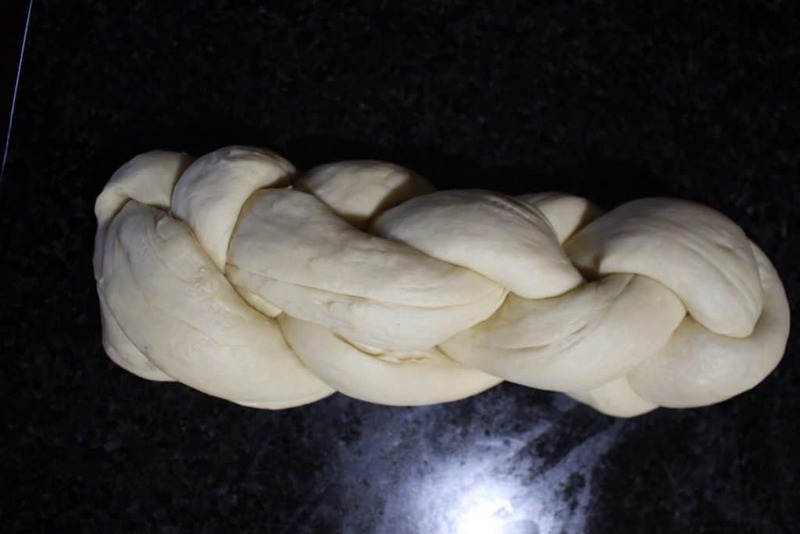 That is one beautifully braided bread. 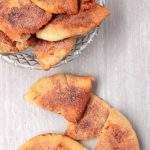 The crust looks perfectly golden brown with a soft inside.